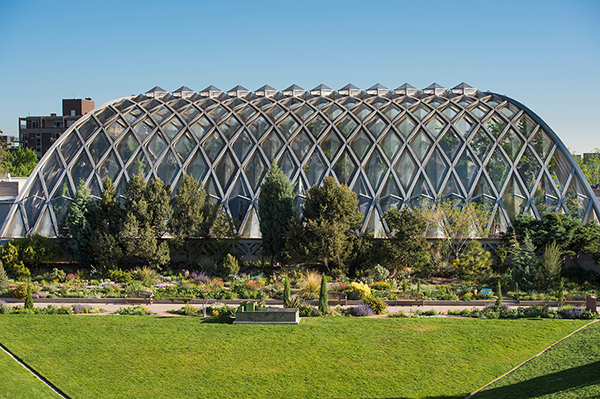 Join the Rocky Mountain Harvard University Club for a special Harvard alumni gathering at the Denver Botanic Gardens on Monday, October 10. Start your week with a private tour of three new gardens and an architectural presentation of the concept design for the Center for Science, Art and Education (CSAE). Click here to buy tickets!!! You must have claimed your Harvard Key to sign in. a tour of these enchanting new spaces. will present the proposed design. explore the grounds or stop at the Offshoots Café. Limited free parking is available in our parking complex between York and Josephine streets. Street parking is available in Cheesman Park, where posted. Seven parking spots on the top deck of our parking complex are reserved for car2go (a shared car program) blue ­and ­white Smart cars, and mopeds/motorcycles. SPECIAL OFFER: $10 car2go membership and 60 minutes of free drive time. Visit Denver car2go to become a member and use the promotion code Botanic1060. Try RTD buses or Denver B­cycle to avoid parking hassles. There is a B­cycle station next to our York Street entrance. Most of our indoor and outdoor gardens and facilities, including restrooms and classrooms, are wheelchair accessible. Some areas in the Gardens are not wheelchair accessible without assistance. Please check with the staff in the Bonfils­-Stanton Visitor Center if you need clarification on accessible routes. Handicapped parking is located in the Gardens’ parking structure. Wheelchairs are available at no charge on a first-come, first-served basis at the Information Desk in the Boettcher Memorial Center. Leaving a driver’s license or photo ID is required. We do not offer motorized wheelchairs or scooters.